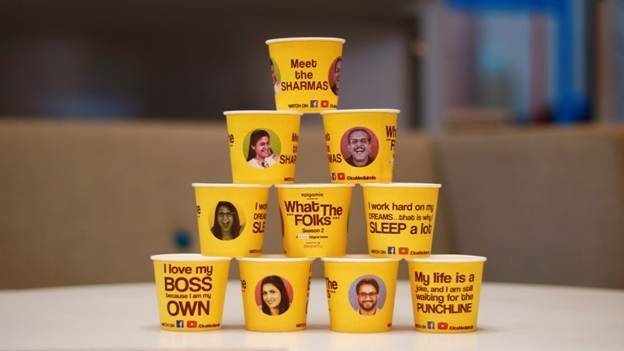 CupShup, the venture known for the popular technique of converting tea and coffee cups into a platform for brands, has launched a campaign promoting Dice Media’s newest web series What The Folks! Season 2. The series is a modern take on how families grow together despite their differences. What The Folks! Season 2 will be a crazier, funnier and a warmer journey of a family dealing with challenges thrown at them. In a bid to promote the series, CupShup will reach out to over 200 corporates across Mumbai, Delhi NCR, and Bengaluru. Banking on the popularity of the characters in the series and their likeability among the masses, CupShup has embarked on a unique plan of action. Five different creatives have been used in different paper cups, which carry quirky one liners about each character in the series. The campaign will be carried on till 5th November 2018.
receive tremendous response from the target audience for the web series. 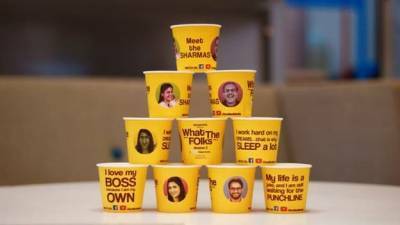 Giving the age-old medium a new lease of life, CupShup has delivered various other advertisements earlier worth half-a-million dollars for many other brands over the past three years. Once it has dug its feet in colleges and corporate offices, CupShup plans to make use of this access to provide other kinds of marketing services. For starters, CupShup helps its clients place some of their sample products at offices for potential customers to try.